Penobscot Bay Maine Nautical Coast Chart No. 4, 1/80,000 scale. 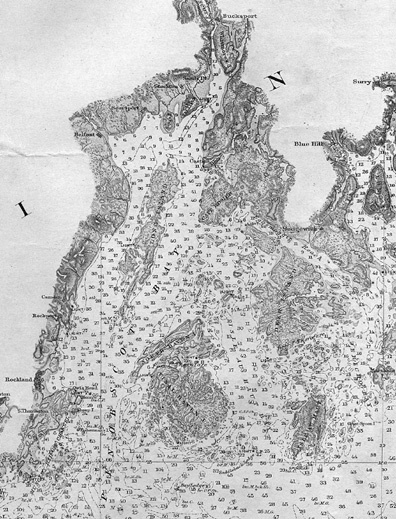 This was the first complete chart of Penobscot Bay published by the U.S. Government.